THE Government is ramping up recruitment for the 350 nurses and 1,400 support staff it needs for 10 new nursing homes. These will be built over the next three years. Health Minister Gan Kim Yong yesterday announced plans to increase enrolment for related courses at the Institute of Technical Education and polytechnics, and encourage people to make a mid-career switch into health care. Allowances for selected candidates among those who make the switch will also go up, to help them cover their cost of living as they train full time. The Health Ministry will also encourage retiring health-care workers to keep working. "Even if they retire, we will encourage them to come back to work part time and contribute to our workforce," Mr Gan said. "So we are pulling out all stops, exploring all venues to recruit more manpower to meet our needs," he added. He was speaking to reporters at the end of a ministerial visit to Potong Pasir. The 10 new nursing homes are among more than 100 eldercare facilities to be built in neighbourhoods over the next three years, as Singapore gears up to meet the needs of a rapidly ageing society. Besides hardware, the Government also needs to ensure enough skilled manpower for the health-care sector. The Health Ministry has adjusted salaries and pay structure for nurses and support staff. Mr Gan said it is also looking at creating more career opportunities for workers, as some seek to have a more exciting and fulfilling career in management, education or research. "That way, we can hope to be able to retain our nurses as well as recruit more," he said. During his visit, he also had an hour-long dialogue with Potong Pasir residents, several of whom asked about health-care and eldercare issues. One woman with a wheelchair-bound elderly father said it was difficult to find transport for those in wheelchairs, and asked if the Health Ministry could provide a list of vendors to the public. She also asked if hospitals could consolidate appointments for medical check-ups, so that patients could cut down on the number of trips. Mr Gan said his ministry is looking into the transport issue, and acknowledged that it could make such information more easily accessible, to help both the elderly and disabled people. He explained that it was not easy to provide consolidated appointments as hospitals have to take into consideration doctors' schedules. But he added that they would do their best if patients requested it. Another resident asked if the limit on the amount of Medisave one could use to pay MediShield premiums could be raised from the current $800 to $1,000. The limit exists for those aged 80 and below. 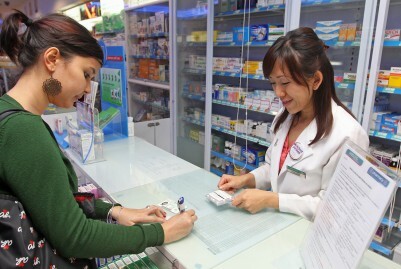 Mr Gan said the Government often reviews the limit to ensure that MediShield premiums remain affordable, and will adjust it from time to time. At least two residents asked if Potong Pasir would get more eldercare facilities like a nursing home. Mr Gan said: "The answer is yes. "Even if you are not included in these 10 (nursing homes), it will be coming... Our strategy is to make every neighbourhood an elder-friendly neighbourhood. So wherever you are, wherever you live, you will find eldercare facilities."